If you were on the East Coast yesterday, you probably woke up, looked out of your window to see frozen rain blowing in the harsh winds, and then contemplated calling in sick to work. 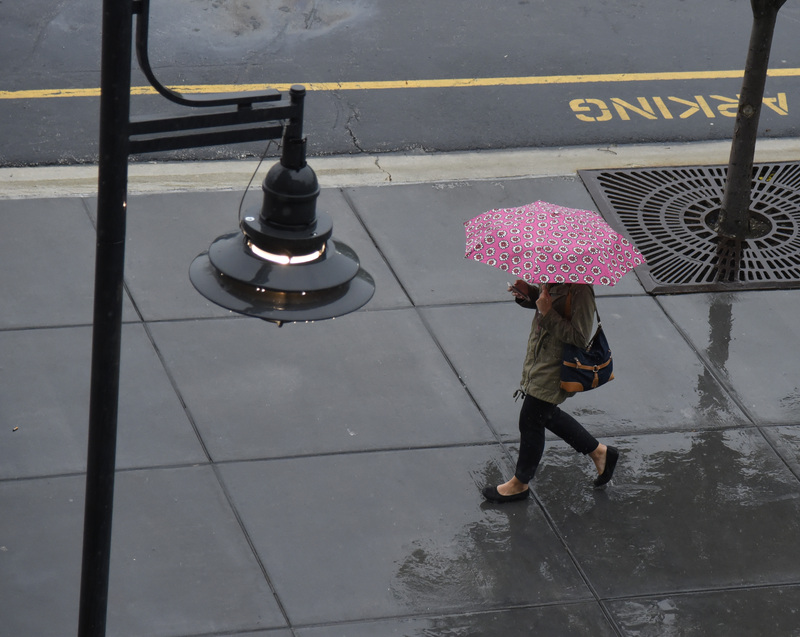 However, it looks as though days like this might actually be the ones that are best for your work performance — a new study published in the Journal of Applied Psychology found that workers are more productive in bad weather. That is, if they actually make it to the office. The conventional wisdom is that employees are more productive in good weather because they are in a better mood. Sun shining, birds chirping, and workers humming happily, right? Well, not quite. It looks like even though nice weather might create a more pleasant work environment for employees, it also inspires daydreams of outdoor activities that can keep them from focusing on their work. Researchers from Harvard and the University of North Carolina at Chapel Hill performed a series of experiments that proved that poor, rainy weather translates into an increase of the quantity and quality of tasks completed. The researchers collected more than two years' worth of data from a Tokyo bank that recorded the speed and accuracy of its home-loan mortgage processing employees. Then, they looked at the weather reports that correlated with the time line of the bank’s data, including rain fall, visibility, and temperature. When comparing the two sets of date, researchers found that a one-inch increase in rain was correlated with a 1.3 percent decrease in worker completion time for each transaction. The study points out that even though one percent doesn’t sound like a lot, in a company of 100 workers, a one percent production loss is like losing a whole employee for the day. The researchers were most concerned with the distraction of outdoor activities on a nice day, but I wonder if other external factors have a large impact on worker productivity as well. For instance, how can we expect employees to be 100 percent motivated around lunchtime when they smell pizza (yum), or even during the holidays when all that they can think of are reindeers and Hanukka gelt? Now those are academic studies I’d be interested in reading. Even though February is the worst month weather-wise, at least it provides us with the most opportunity to be productive and get ahead on work so that we won’t feel too guilty about playing hooky on the first day of spring.